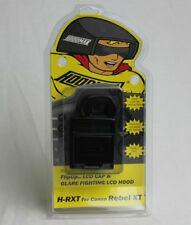 This hood shields light from the LCD monitor to improve the visibility of the monitor image. The hood is easy to mount by sticking onto the edge of screen and no residue will leave. Besides, it allows for use of touch screen monitors. ACMAXX 2.5” HARD LCD SCREEN ARMOR PROTECTOR SCRATCH PROOF UV COATING. ACMAXX protector do not have logo on the product and design looks much better. What is ACMAXX LCD ARMOR?. ACMAXX LCD Armor is a hard Poly-carbonate screen protector with UV Low-Reflection Coating. ACMAXX 3.0” WIDE HARD LCD SCREEN ARMOR PROTECTOR SCRATCH PROOF UV COATING. What is ACMAXX LCD ARMOR?. ACMAXX LCD Armor is a hard Poly-carbonate screen protector with UV Low-Reflection Coating. This technology allows ACMAXX LCD Armor to effectively reduce reflection of sunlight and interior lighting to provide vivid pictures wherever you are. ACMAXX 3.0” HARD LCD SCREEN ARMOR PROTECTOR SCRATCH PROOF UV COATING. ACMAXX protectors do not have logo on the product and design looks much better. What is ACMAXX LCD ARMOR?. ACMAXX LCD Armor is a hard Poly-carbonate screen protector with UV Low-Reflection Coating. ACMAXX 3.0” WIDE (3:2 ) HARD LCD SCREEN ARMOR PROTECTOR SCRATCH PROOF UV COATING. Leica D-Lux 5 with ACMAXX LCD Armor Protector. What is ACMAXX LCD ARMOR?. ACMAXX LCD Armor is a hard Poly-carbonate screen protector with UV Low-Reflection Coating. FOR Sony Cyber-shot RX10-II (RX10M2, RX10 Mark2). ACMAXX HARD 3.0” LCD SCREEN ARMOR PROTECTOR. What is ACMAXX LCD ARMOR?. ACMAXX LCD Armor is a hard Poly-carbonate screen protector with UV Low-Reflection Coating. What is ACMAXX LCD ARMOR?. ACMAXX LCD Armor is a hard Poly-carbonate screen protector with UV Low-Reflection Coating. This technology allows ACMAXX LCD Armor to effectively reduce reflection of sunlight and interior lighting to provide vivid pictures wherever you are. ACMAXX HARD 2.7” Wide LCD SCREEN ARMOR PROTECTOR. What is ACMAXX LCD ARMOR?. ACMAXX LCD Armor is a hard Poly-carbonate screen protector with UV Low-Reflection Coating. This technology allows ACMAXX LCD Armor to effectively reduce reflection of sunlight and interior lighting to provide vivid pictures wherever you are. FOR Panasonic Lumix DMC-LX10 / LX15. Panasonic Lumix DMC-LX10 / LX15. ACMAXX 3.0”Thick Film LCD SCREEN ARMOR PROTECTOR SCRATCH PROOF UV COATING. 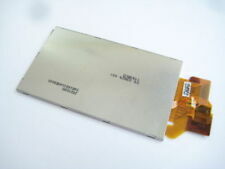 This sale for ACMAXX Lcd protector ONLY. What is ACMAXX LCD ARMOR?. Die Linsen werden dank ihres 37mm Gewindes, einfach in den Kinotehnik Viewfinder eingeschraubt (dazu muss man kurz das Augengummi entfernen). Kinotehnik Diopter Kit (Linsen 1 2 4). Kompatibel mit dem LCDVF 3C und BM zudem mit den neuen Modellen von 4/3, 3/2, 16/9 und 4N. Pictures show HiFiMAN player with ACMAXX LCD protector. FOR HiFiMAN HM-802 audio player. ACMAXX 3.0” HARD LCD SCREEN ARMOR PROTECTOR SCRATCH PROOF UV COATING. ACMAXX protector do not have logo on the product and design looks much better. Only for HiFiMAN HM-901S / HM-901U / HM802U HiFi Audio Player. ACMAXX 3.0” HARD LCD SCREEN ARMOR PROTECTOR SCRATCH PROOF UV COATING. Pictures show HM-901S with ACMAXX LCD protector. ACMAXX protector do not have logo on the product and design looks much better. Zustand: AA. Senden Sie mir eine Nachricht. The hood can be held firmly in place. With this LCD hood, you can easily keep stray light off the screen and get a clear view. 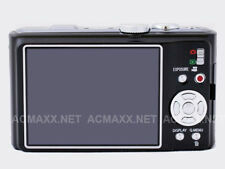 The 3" LCD Hood is a wise addition to any CANON camcorder with a 3" LCD screen. 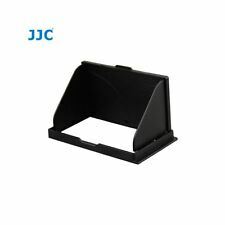 Folds to envelope style for easy storage1.Can be positioned to 90 degrees or 180 degrees on monitor. 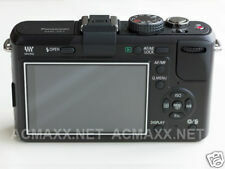 Pictures show Ricoh GR Digital III / GRD3 with ACMAXX LCD protector. ACMAXX 3.0” HARD LCD SCREEN ARMOR PROTECTOR SCRATCH PROOF UV COATING FOR Ricoh GR Digital III / GR DIGITAL IV. What is ACMAXX LCD ARMOR?. Grâce à celui-ci votre écran sera protégé contre les rayures. Cette protection est transparente pour pouvoir visualiser les informations sur l'écran. 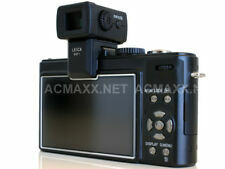 ACMAXX HARD 3.0” LCD SCREEN ARMOR PROTECTOR FOR SONY DSC-HX100V. What is ACMAXX LCD ARMOR?. ACMAXX LCD Armor is a hard Poly-carbonate screen protector with UV Low-Reflection Coating. This technology allows ACMAXX LCD Armor to effectively reduce reflection of sunlight and interior lighting to provide vivid pictures wherever you are. 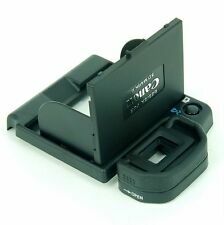 Compatible avec : NIKON D40/D40X. Ecran de protection clair transparent pour écran d'affichage à cristaux liquides. Ecran de protection clair transparent pour écran d'affichage à cristaux liquides. ACMAXX HARD 3.0” LCD SCREEN ARMOR PROTECTOR. What is ACMAXX LCD ARMOR?. ACMAXX LCD Armor is a hard Poly-carbonate screen protector with UV Low-Reflection Coating. This technology allows ACMAXX LCD Armor to effectively reduce reflection of sunlight and interior lighting to provide vivid pictures wherever you are. ACMAXX 3.0" HARD LCD SCREEN ARMOR PROTECTOR SCRATCH PROOF UV COATING. What is ACMAXX LCD ARMOR?. ACMAXX LCD Armor is a hard Poly-carbonate screen protector with UV Low-Reflection Coating. This technology allows ACMAXX LCD Armor to effectively reduce reflection of sunlight and interior lighting to provide vivid pictures wherever you are. The hood can effectively blocks stray light and improves visibility of the display in outdoors. It is made of premium microfiber leather, which can provide your screen with extra protection. The hood also can realize quick and easy removal due to the touch-fastener flap. ACMAXX 3.0” HARD LCD SCREEN ARMOR PROTECTOR SCRATCH PROOF UV COATING. What is ACMAXX LCD ARMOR?. ACMAXX LCD Armor is a hard Poly-carbonate screen protector with UV Low-Reflection Coating. This technology allows ACMAXX LCD Armor to effectively reduce reflection of sunlight and interior lighting to provide vivid pictures wherever you are. ACMAXX Tick Film 3.0” LCD SCREEN ARMOR PROTECTOR. What is ACMAXX LCD ARMOR?. ACMAXX LCD Armor is a hard Poly-carbonate screen protector with UV Low-Reflection Coating. This technology allows ACMAXX LCD Armor to effectively reduce reflection of sunlight and interior lighting to provide vivid pictures wherever you are. ACMAXX HARD 3.0” LCD SCREEN ARMOR PROTECTOR FOR FujiFilm FinePix F600EXR / F200EXR. What is ACMAXX LCD ARMOR?. ACMAXX LCD Armor is a hard Poly-carbonate screen protector with UV Low-Reflection Coating. FOR Fujifilm FinePix S9400W. ACMAXX HARD 3.0” LCD SCREEN ARMOR PROTECTOR. What is ACMAXX LCD ARMOR?. ACMAXX LCD Armor is a hard Poly-carbonate screen protector with UV Low-Reflection Coating. This technology allows ACMAXX LCD Armor to effectively reduce reflection of sunlight and interior lighting to provide vivid pictures wherever you are. Provides access to the touchscreen via slots in the bottom of the shade. ACMAXX HARD 3.0” LCD SCREEN ARMOR PROTECTOR. 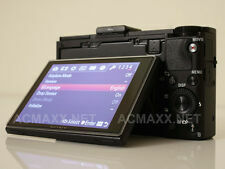 Sony RX100M2 with ACMAXX LCD protector. What is ACMAXX LCD ARMOR?. ACMAXX LCD Armor is a hard Poly-carbonate screen protector with UV Low-Reflection Coating. 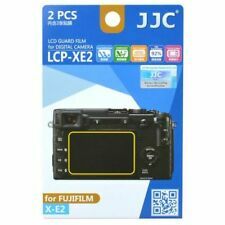 FOR FujiFilm XQ1 / XQ2. ACMAXX HARD 3.0” LCD SCREEN ARMOR PROTECTOR. What is ACMAXX LCD ARMOR?. ACMAXX LCD Armor is a hard Poly-carbonate screen protector with UV Low-Reflection Coating. This technology allows ACMAXX LCD Armor to effectively reduce reflection of sunlight and interior lighting to provide vivid pictures wherever you are. ACMAXX 2.7” HARD LCD SCREEN ARMOR PROTECTOR SCRATCH PROOF UV COATING FOR CANON EOS 1100D / Rebel T3 / Kiss X50. ACMAXX protector do not have logo on the product and design looks much better. What is ACMAXX LCD ARMOR?. 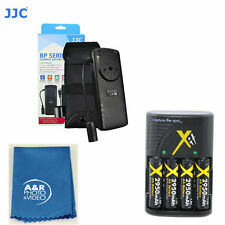 ACMAXX HARD 3.0” LCD SCREEN ARMOR PROTECTOR FOR SONY DSC-HX200V. What is ACMAXX LCD ARMOR?. ACMAXX LCD Armor is a hard Poly-carbonate screen protector with UV Low-Reflection Coating. This technology allows ACMAXX LCD Armor to effectively reduce reflection of sunlight and interior lighting to provide vivid pictures wherever you are. 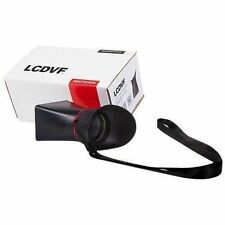 Der LCDVF BM kann mit dem separat erhältlichem Diopter Kit erweitert werden. Augenmuschel: hautfreundliches Gummi. Bluestar-Eyecushion Oval Small Rot. ACMAXX 3.0” HARD LCD SCREEN ARMOR PROTECTOR SCRATCH PROOF UV COATING FOR CANON 1D Mark III / 1Ds Mark III DSLR. What is ACMAXX LCD ARMOR?. ACMAXX LCD Armor is a hard Poly-carbonate screen protector with UV Low-Reflection Coating. ACMAXX 3.0" HARD LCD SCREEN ARMOR PROTECTOR SCRATCH PROOF UV COATING FOR SONY SLT-A77 / SLT-A77-II / SLT-A65. What is ACMAXX LCD ARMOR?. ACMAXX LCD Armor is a hard Poly-carbonate screen protector with UV Low-Reflection Coating. 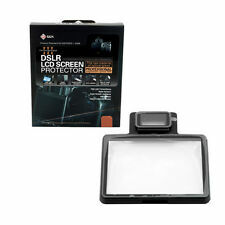 ACMAXX 2.7” HARD LCD SCREEN ARMOR PROTECTOR SCRATCH PROOF UV COATING FOR SONY A290 / A390 DSLR. ACMAXX protector do not have logo on the product and design looks much better. What is ACMAXX LCD ARMOR?. For digital compacts with 3.0” LCD screen. Shields lateral and angular incidence of light from the LCD monitor and improves the visibility of the monitor image on digital cameras. Folds down completely and serves also as a cover and a screen protector. Coil spring supported side flaps will keep the glare shield in opened position. 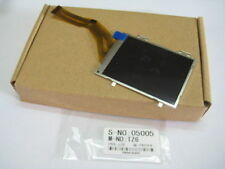 To ease the operation of a touch screen monitor the complete glare shield flips up by releasing a lock rail, no matter if it is open or folded down. The shield is attached to the tripod socket with a screw with thin head or an adapter screw, that has an additional tripod thread. Regardless of the position of the tripod socket on the camera the glare shield can be attached so that it is positioned properly on the monitor and fits tightly to the camera body.